My first rental was one room appartment in university town Tartu that my girlfriend had inherited from her grandma. Later when we got married, we sold it and bought three room appartment in Tallinn. We lived there for a year and then bought a house – but kept the appartment as an extra-collateral for a mortgage. We rented it out through my company and so far it has been very decent investment. Couple years later (after big real estate crash in Estonia), I started buying appartments and renovating them together with my friend Kalle. We did couple of flips but our main goal was to build rental appartment portfolio. In 2010-2013 we managed to acquire 5 appartments (mainly financed by loans from private investors and our own equity from flips). 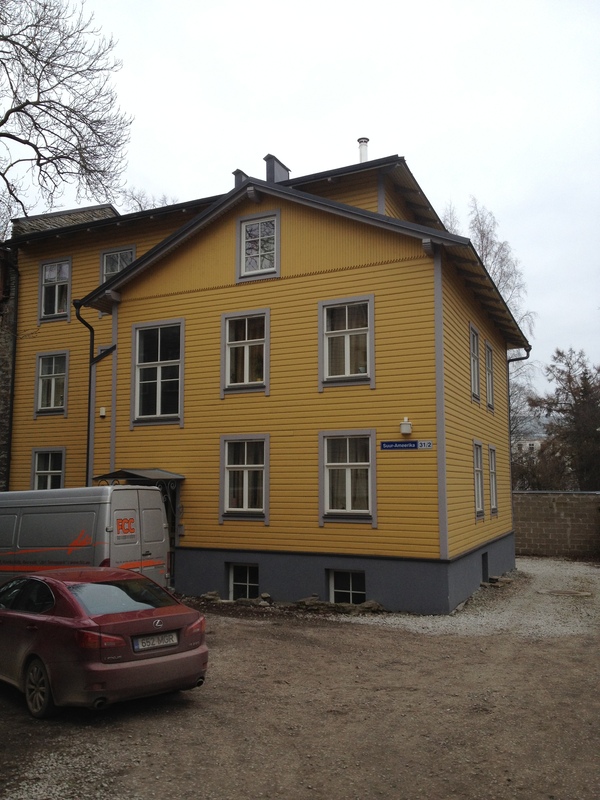 In 2014 we bought our first appartment building in the centre of Tallinn. It was a big step forward for us and first time we used bank loan to finance the deal. Couple of months later we started a real estate investment company with 5 friends and bought 20 small one room appartments in a big appartment complex. As far as my €10,000/month cashflow goal, real estate plays important part. I have ownership of two companies that invest in rentals (50% in one and 20% in another). Our current plan is to keep building equity and use monthly cashflow to pay off private loans. In 5 years time, we plan to have at least €4,000 free monthly cashflow in 50% owned company (so €2,000 to me) and about €2,500 free monthly cashhflow in 20% owned company (so €500 to me). That would total €2,500 in a month and would be 25% of my €10,000/month goal.